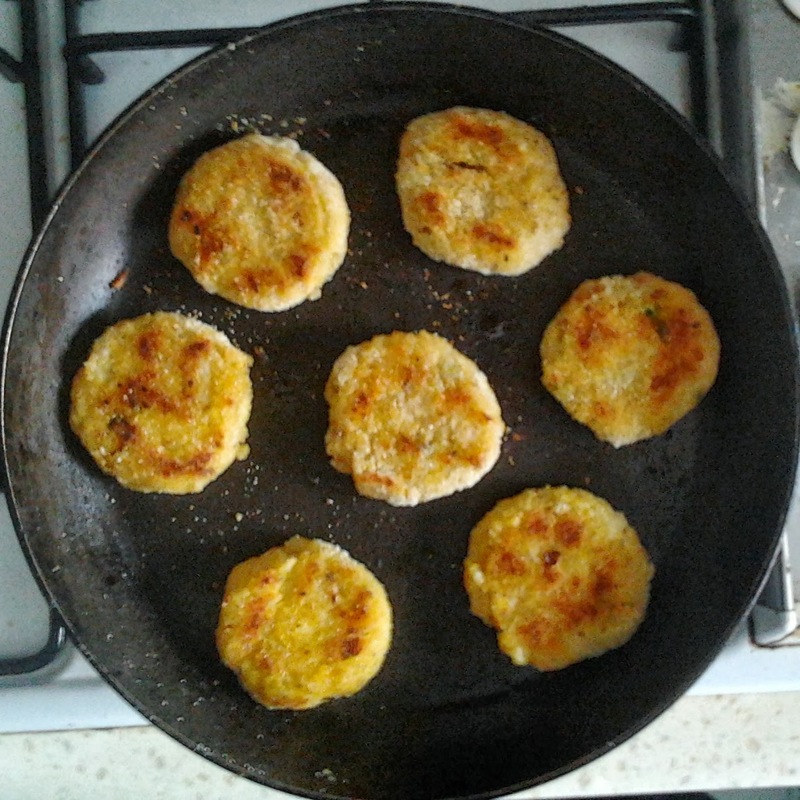 Cutlets are very easy to prepare at home. Can have it in the evening as snack along with a hot cup of tea or a coffee. You can also add any vegetables you like to add extra nutrition and to make it more healthy ;). 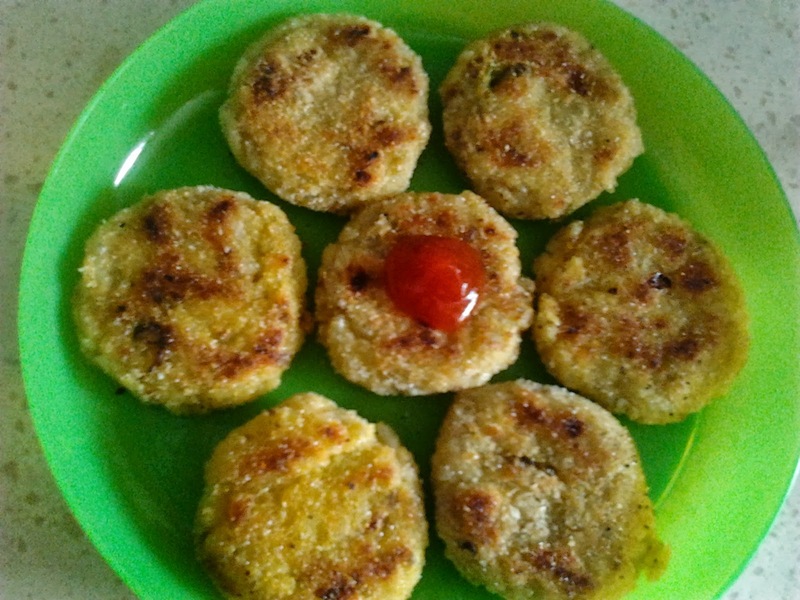 I love cutlets especially when they are hot so do try it this way. I am using potatoes,Onions and peas. You can also use rice flour instead of rice. Adding bread helps in crispiness. Green chilies or red chilly powder can be added as per your preference. I am not using garlic and ginger so as to make it simple but you can also try along with it. Use breads by removing it's crusts or sides. Can use corn flour solution(1 tbsp corn flour dissolved with 1-2 tbsp water) to dip cutlets before rolling it over rava. This helps cutlet to become sticky and to get coated with rava easily. You can also skip this step as the cutlet dough itself is very sticky. I would recommed this step only if you feel that your dough is not sticky enough. You can either shallow fry or deep fry cutlets. I have shallow fried them. Boil potatoes nicely. On cooling, peel its skin off and smash it completely. Heat oil in a pan. Add cumin seeds, onions and little salt. Fry until onions turn little brown. Dip breads in little water and smash it along with cooked rice and mix well. 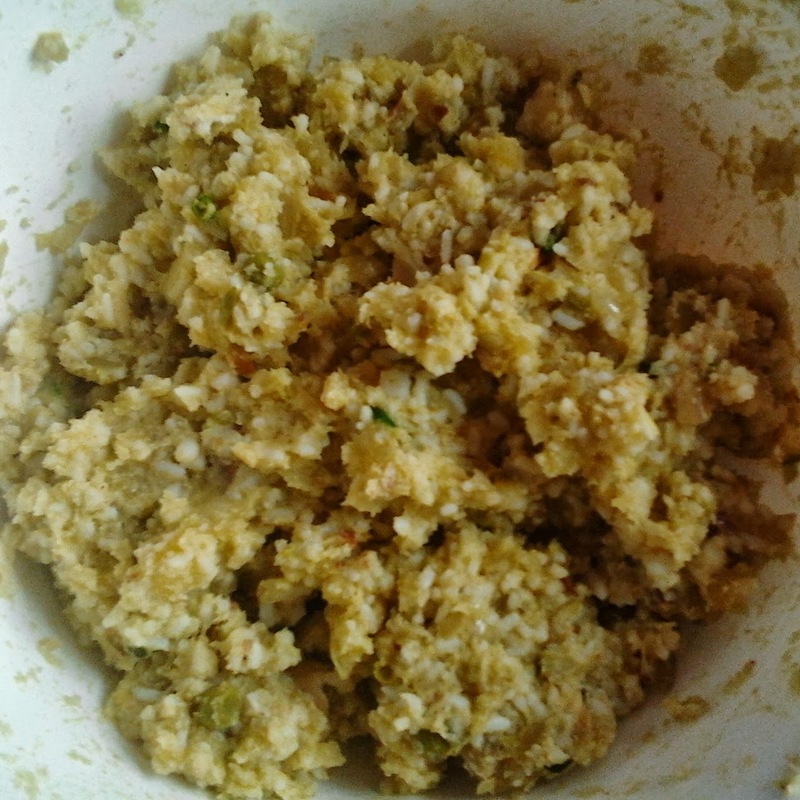 Add the fried onions and cumin seeds to it along with smashed potatoes, peas, turmeric powder, garam masala powder, coriander powder, green chilies, salt and coriander leaves. Knead until a nice and sticky dough is formed. Use water if needed. Drop the cutlets gently in a bowl with rava and make sure it is coated with rava on both it's sides. Heat oil by spreading it all over the pan. Now shallow fry cutlets on both sides until they become crispy and turn into golden brown color. Switch off the flame and Serve hot with tomato sauce or mint chutney.